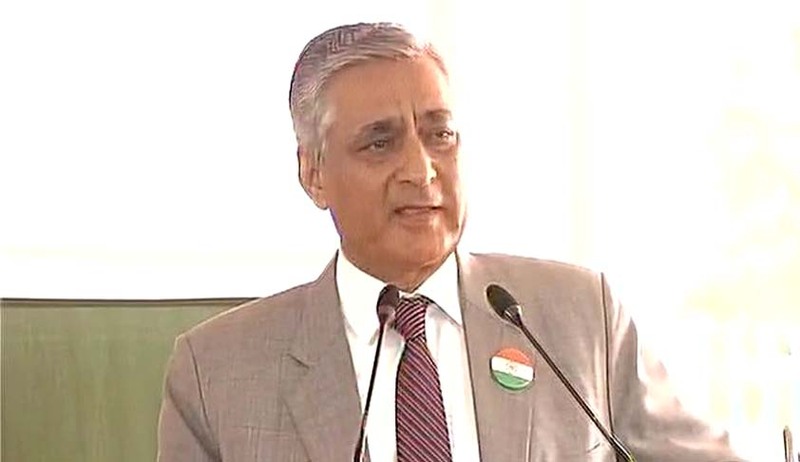 Chief Justice of India TS Thakur today used the Independence Day function at the Supreme Court premises to lash out at Prime Minister Narendra Modi and Law Minister Ravi Shankar Prasad for not mentioning anything about the justice delivery system or judges appointment in their speeches. “You make roads, schools, hospitals but please also do say something about justice delivery to people. I heard the speech of our great and respected Prime Minster for an hour and of the law minister just now. I thought they will say something about justice delivery and appointment of judges. Cases are piling up there are no sufficient number of judges…but sadly nobody seems to be bothered”, he said after unfurling the national flag at a function. Prasad and all the judges of the apex court, Supreme Court Bar Association members and large number of advocates were present at the function. “You have something to say on every sector and also have promises. Throw something at us too”, was CJI’s message to PM. Speaking before the CJI, the Law Minister said Affirmed that his government was “committed to the cause of judicial independence” and very soon a memorandum of procedure will be finalized after harmonious consultation with the collegium. “Judicial delivery is integral to good governance. Our commitment to the cause of judicial independence is total. We are in the process of finalizing the MoP. I want to clarify that regardless of that, judicial appointments are going on. The government and the collegium have to work in harmony. I know the problems we will work together. The harsh comments incidentally comes two days after the Chief Justice bluntly asked the Centre if it was trying to bring the entire judicial institution to a “grinding halt”. "The collegium has cleared 75 names of high court judges (for transfer/ appointment) but they have not been approved. I don't know why, where these files are stuck," a three-judge bench headed by Chief Justice T S Thakur had said while hearing a PIL PIL filed by 1971 war veteran Lieutenant Colonel Anil Kabotra on the issue. The Secretariat would be endowed with the power to evaluate complaints against the Judiciary, and recommend the subsequent course of action. The Government has reportedly resolved to formulate the rules for appointment of retired Judges to the Secretariats. The appointments to the Secretariat would be made with the consent of the Chief Justice of India and the Chief Justices of the respective High Courts. “The retired Judges will be working under the CJI and the Chief Justice and hence there should be any misgivings on the executive’s interference in the affairs of the higher judiciary,” a source was quoted as saying.